Any type of motor vehicle crash can be dangerous, but rollovers are especially perilous. Because the roof can collapse, many victims suffer devastating head trauma. This trauma can be deadly if not treated immediately and properly. If you’ve been in a rollover accident while driving your SUV, you likely have a lot of questions, such as whether you can sue an auto manufacturer for an SUV rollover. At Craig Swapp & Associates, we want you to get the full care you deserve after your rollover accident. When you’re injured in an SUV crash, make sure you have a lawyer on your side who can gather the necessary evidence to hold the liable party accountable for your damages. Rollovers can be caused by many things, from the top-heaviness of your vehicle to speeding or driving under the influence. One of your lawyer’s main jobs will be to pinpoint the exact cause of your crash. They will often do this by collecting evidence from the scene or recreating the accident. In your case, maybe you believe that your SUV rollover happened because something went wrong with your vehicle. For example, you were traveling along the highway at a safe speed when you lost control of your vehicle for no apparent reason. This caused your car to roll over and severely injure you. You might think that because no other cars were involved that it was somehow your fault. Often, these accidents are single-vehicle accidents, but that doesn’t always mean you’re responsible for it. Before you accept responsibility, have your lawyer investigate a possible malfunction. When an auto manufacturer doesn’t take care to ensure there are no defects in their products, they can be found negligent and responsible any accidents that occur as a result. For example, a set brakes were found to be faulty and unsafe for use. However, the manufacturer didn’t perform a final check on the brakes before releasing them to the mechanic. When you attempted to brake, the faulty parts caused you to lose control. Your SUV rolled over, which left you with head trauma and other major injuries. In this case, the manufacturer is responsible for the faulty part as well as the resulting auto accident and all of the ways your life has been affected by that rollover. Your lawyer can help you identify and quantify your damages to ensure you receive maximum compensation. 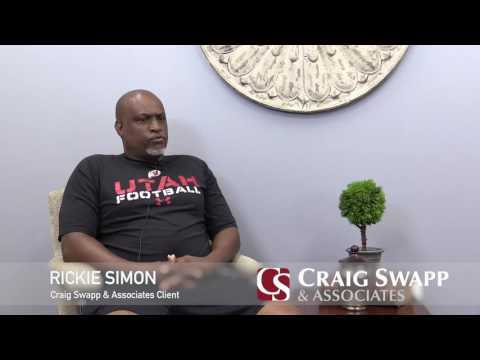 The answer depends, of course, on the details of your accident, which a lawyer from Craig Swapp & Associates can investigate. If we find evidence that the manufacturer was negligent and that negligence caused your auto accident, we’ll ensure you secure the recompense you need. Ready to get started? Reach out to our firm for a free consult by calling us at 1-800-404-9000 or completing the following online form.